Restaurateurs Chris Corbin and Jeremy King are not natural revolutionaries. 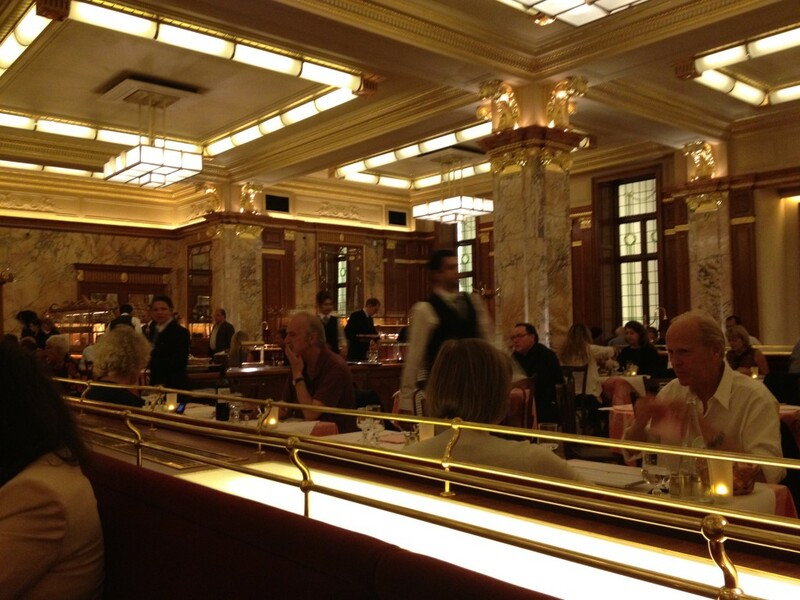 Their other outposts, The Wolseley and The Delaunay, are grand, conservative and exclusive. 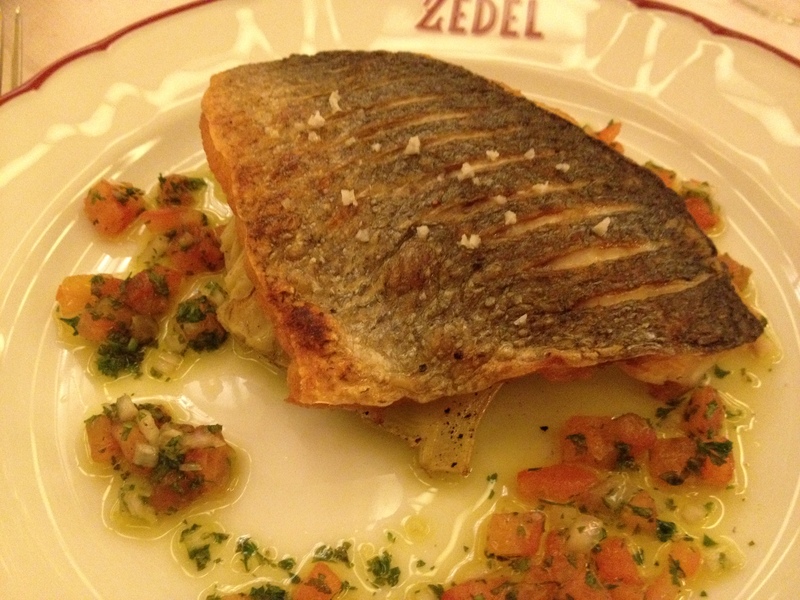 However with Brasserie Zedel they have come up with an offer that combines retro glamour with a much more democratic vision. 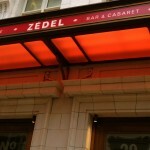 Situated on the site of the old Regent Palace Hotel and in the space occupied by the long departed Atlantic, Brasserie Zedel is a loving distillation of all that is fine about the Parisian Grandes Brasseries and Bouillons, think La Coupole meets Chartier, combined with an additional cafe, jazz bar and cocktail bar. With three quarters of a million pounds spent on gilding and enough marble columns to make Trajan jealous, the space has been transformed into a glistening Gallic temple, a far cry from the darker and more decadent yuppie hangout the Atlantic which always felt as if it was a set from a Tim Burton era Batman movie. 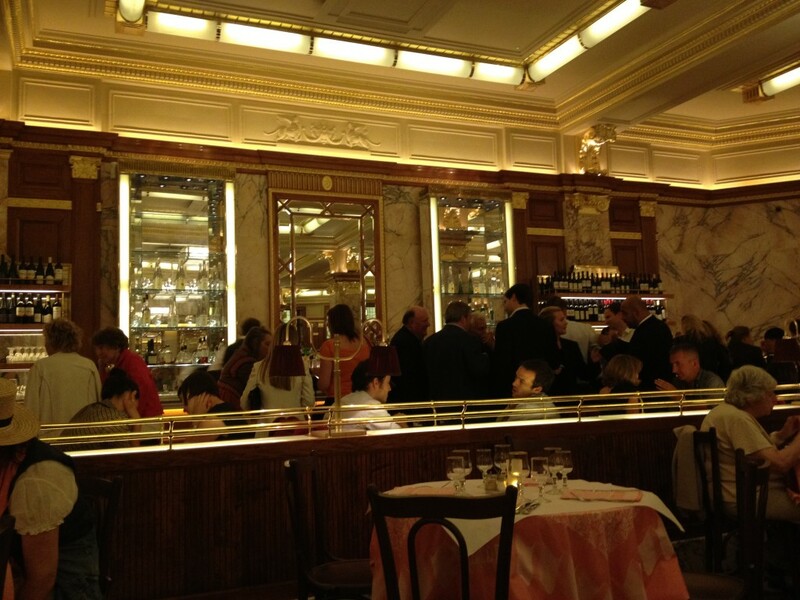 What is astonishing is how authentic Brasserie Zedel feels-with The Wolseley and The Delaunay you always know you are in London but here you’re not quite so sure. 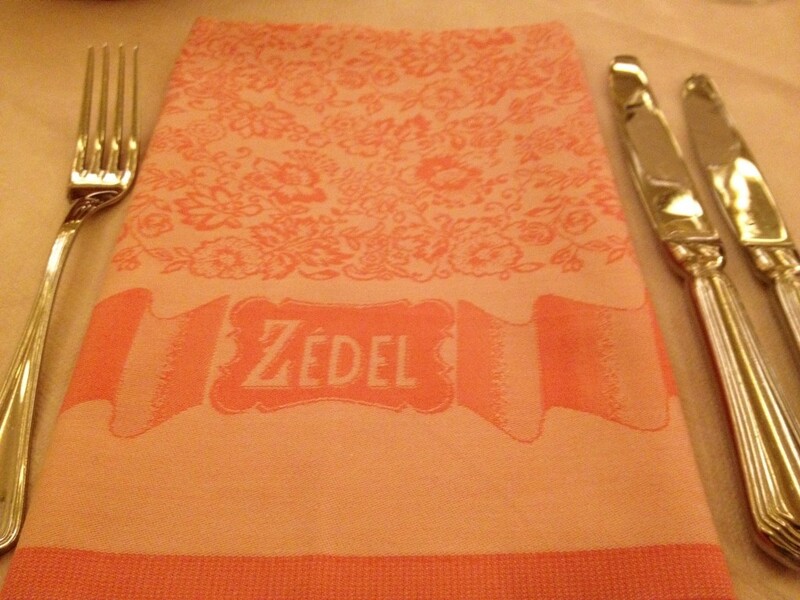 From the pink linen napkins to the cutlery and cruet set, great care has been taken in the detail. 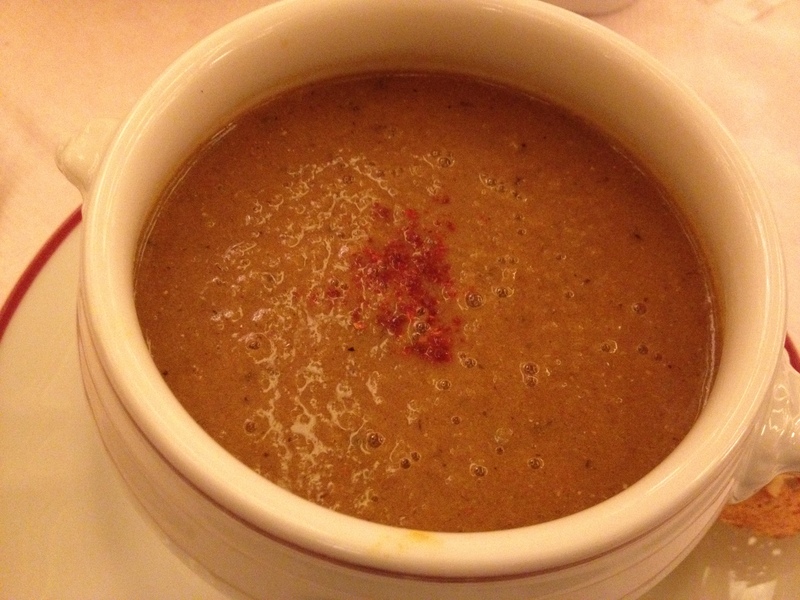 I started with the fish soup which was excellent having a depth of flavour and richness which belied the £4.25 price tag. 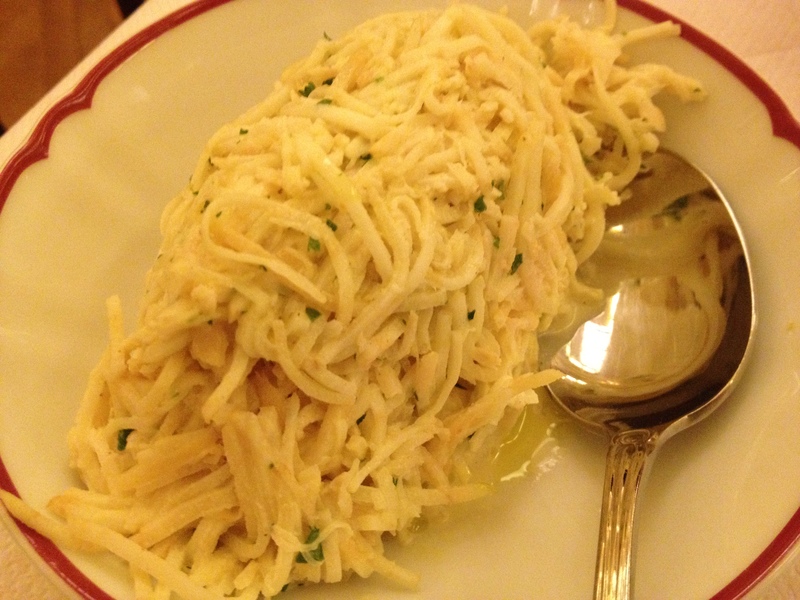 I know of at least one restaurant in the near vicinity charging over £9 for a similar dish. The sea bream was perfectly cooked, the slightly salty and charred skin offsetting the sweetness of the flesh, and was accompanied by some delicious fried fennel and a sauce vierge. The Celeri Remoulade (£2.95) was a robust portion with enough bite from the mustard dressing to match the crunch of the celeriac. I had a glass of serviceable white Bordeaux with my meal (Entre Deux Mers 2011 @ £4.60) and was able to walk away from the restaurant feeling that I had got value for money. 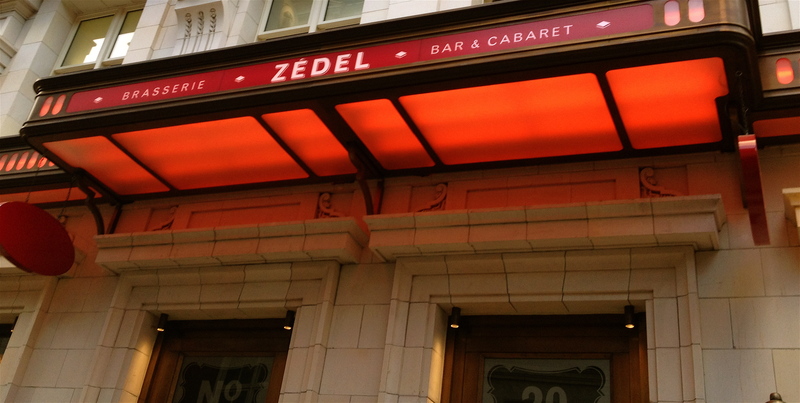 What is remarkable about Brasserie Zedel is that it all works very efficiently as a brasserie should and at such a competitive price point that a real challenge has been created for other operators.